Colon Cancer Quiz: How Well Do You Know Colon Cancer? Home Blog	Colon Cancer Quiz: How Well Do You Know Colon Cancer? Think you're a colon cancer fact whiz? Take our Colon Cancer Quiz and test your knowledge! One of the major problems associated with colon cancer awareness is the misconceptions people have about the disease and the screening methods proven to prevent it. Knowing the facts about colon cancer can save your life. Make an investment in your health by learning about the risk factors of colon cancer and the prevention measures you can take to ensure your safeguard against this disease. This knowledge allows you to make an informed decision with your doctor about your screening options and can help you make healthier lifestyle choices in the process. 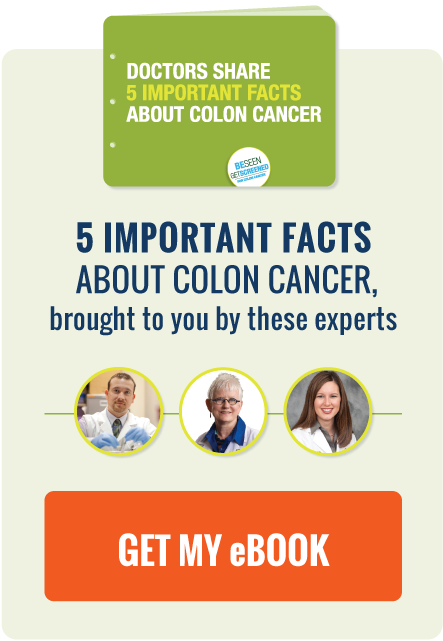 It can be difficult to distinguish reputable information from myth, which is why we've created our first ever Colon Cancer Screening eBook to provide you with the basic facts about colon cancer you need to know. Think you've got the facts down already? Take the quiz and see how you score!